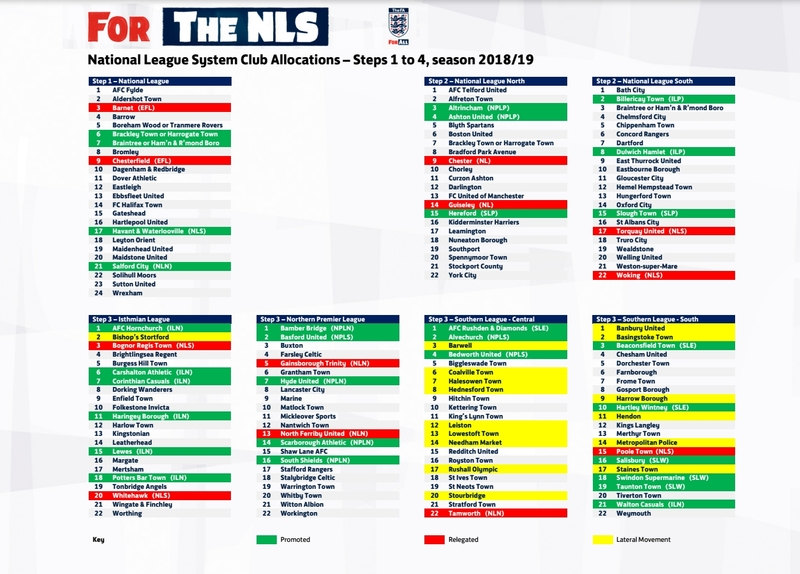 Following today’s meeting of The FA’s Leagues Committee, they have revealed the provisional club allocations for Steps 1 to 4 of the National League System for season 2018/19. All allocations are subject to FA appeal within the next seven days. 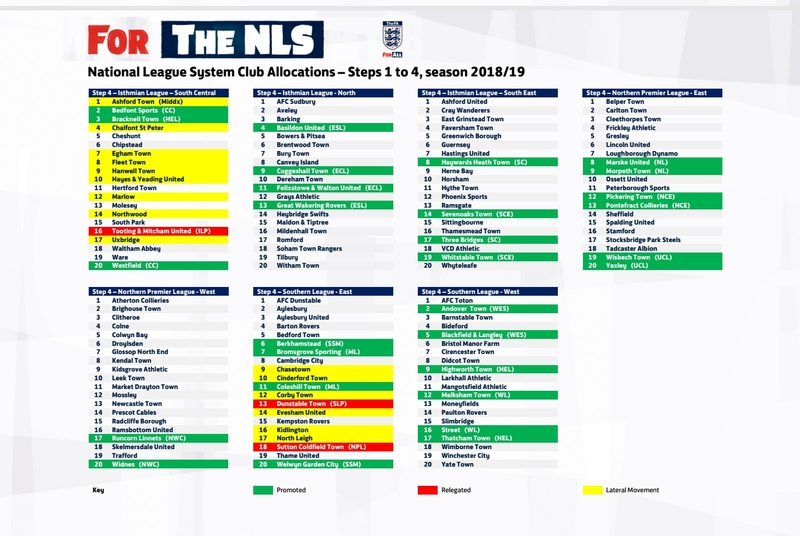 The FA will release club allocations for Steps 5-7 in the coming weeks.